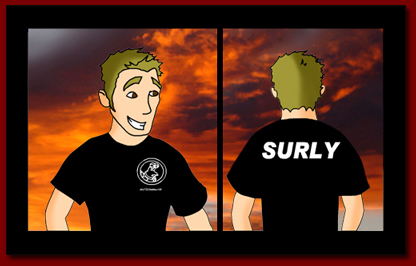 There is no better way to spread your surliness than with a Surliness.com official T-Shirt! All shirts are 100% cotton Gildan brand shirts are are printed by Big Dog Imprints. Since I have to order the shirts in bulk, requestes can take up to a month. To reserve your shirt, please email us.